Red sends out his Pikachu, Charizard, Blastoise, and Venusaur. 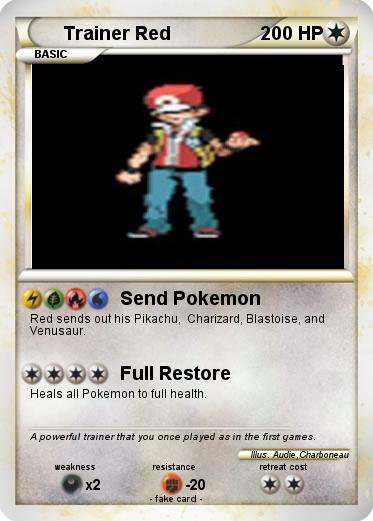 Heals all Pokemon to full health. Comments : A powerful trainer that you once played as in the first games.